Even though this blog is called mikeandyulia and the stories are about both of us, it’s been mostly me writing it. But today it is Michael’s story and Michael’s family that’s at the heart of it. Today we’ll talk about zelnik. 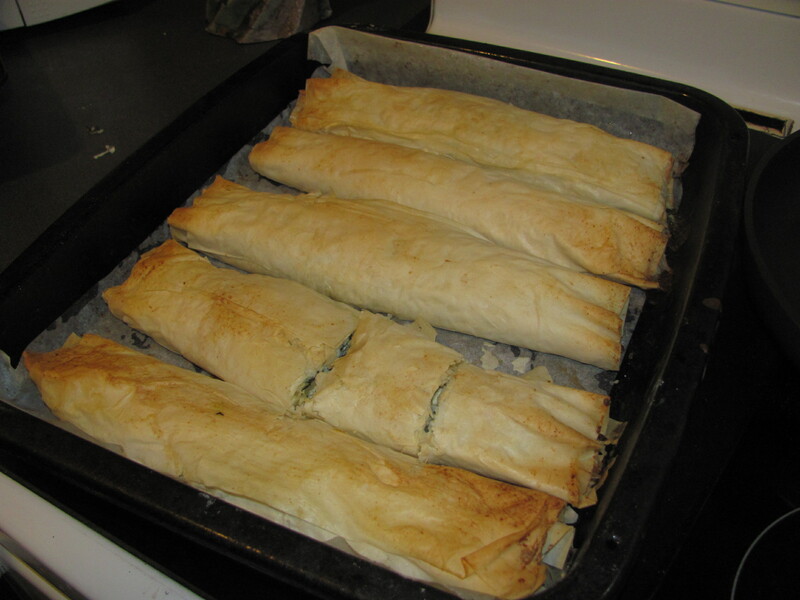 Zelnik is a Macedonian dish. 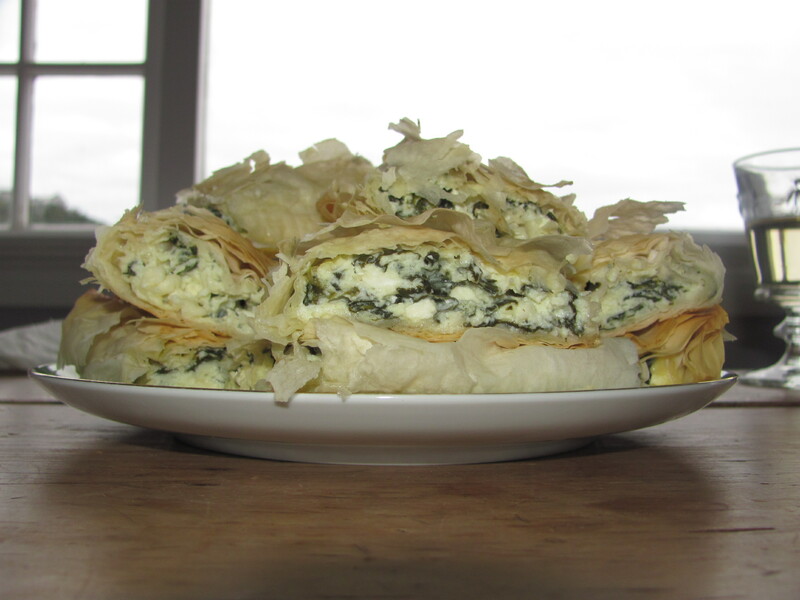 This particular version is made with filo dough, feta, spinach, cottage cheese and eggs. But it’s more than that. It’s a family tradition, a link between generations, a thread between continents. -What’s the significance of zelnik for you and your family, Mike? – It’s one of the first foods I remember along with feta cheese. 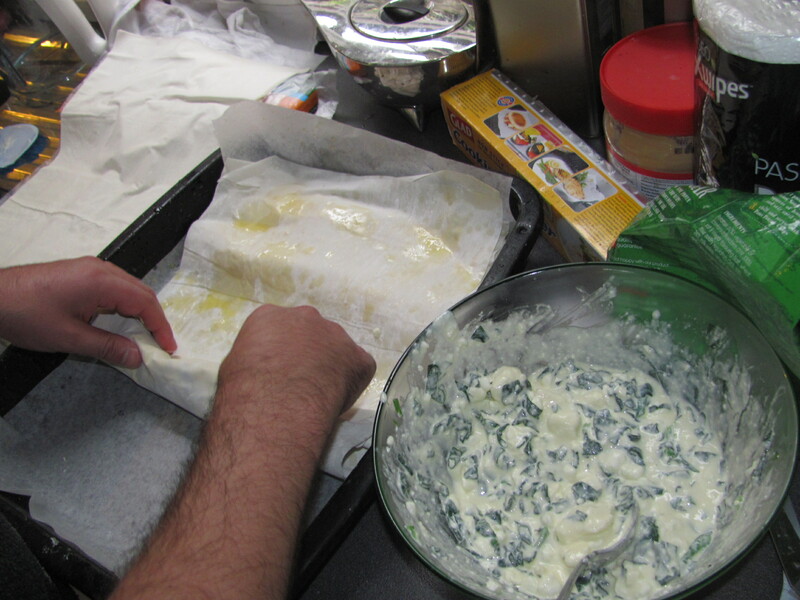 My cousin Sevda and I used to call feta “Martian food”, you know, ‘cos it looks weird. 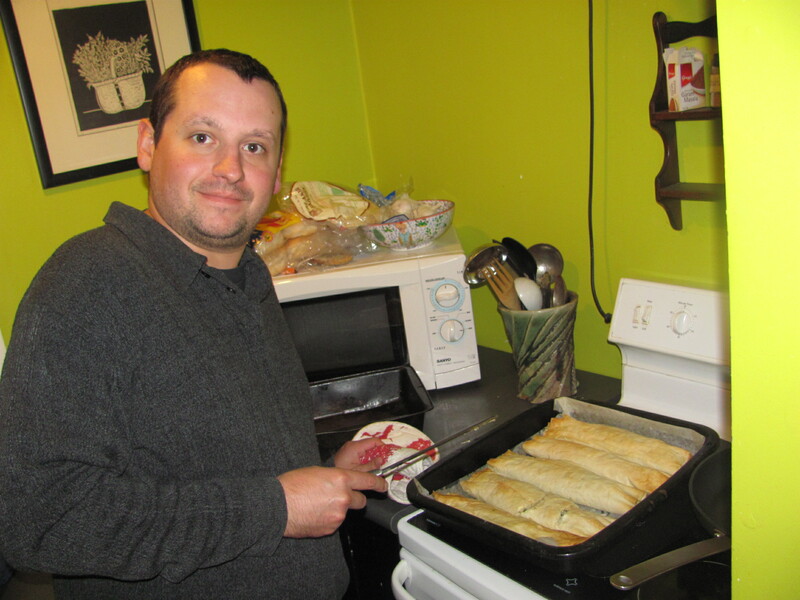 I guess the zelnik recipe probably came down from my baba Helen. And we always made it for any family gathering as well as traditional American holidays like Thanksgiving and Christmas – we integrated it into traditional foods like turkey and cranberries. And I remember at the Macedonian conventions there would be zelnik baking competitions where old ladies would bake their zelniks and judges would choose the best one. – And what is the connection of your family with Macedonia? 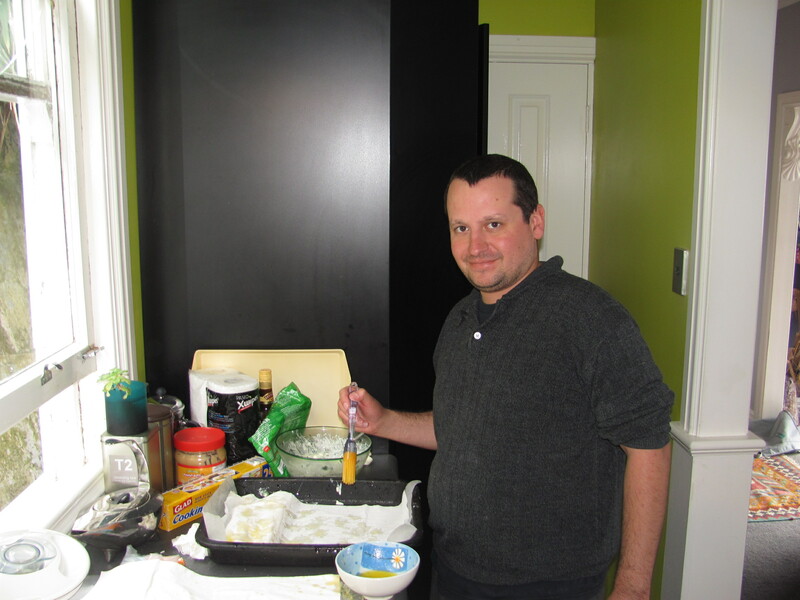 – My great-grandfather emigrated from Macedonia to the US in 1913. And I think about 10 years later my grandfather and the rest of the family came to join him in Ohio. That generation, they all spoke Macedonian as their first language and even my uncle Leon, who was born in the United Stated, he spoke Macedonian which he learned before English, he only learned English after he went to school, around 6 I guess. I remember hearing a cassete tape recording that was made in the 70s in the kitchen of my dedo’s house and it was my dad, and uncle Leon, and baba Helen and other people just drinking wine and talking and dedo said that for him these Macedonian traditions, he didn’t understand why dad and uncle Leon were so interested in them, so I guess he kind of tried to leave them behind and it was the second generation in my family that kept them going. –Speaking of traditions, which Macedonian traditions did your family keep? 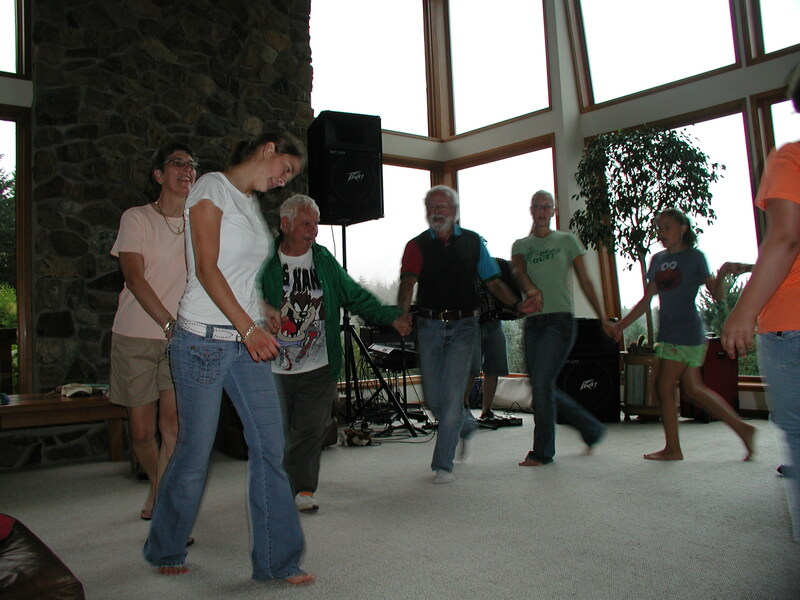 One convention in 2002 or 2003, I tried to learn Macedonian dances, my mom told me just to stand next to Uncle Chris. So I tried that for a couple of dances but I was so horrible that he kept nudging me with his elbow, saying: Michael!, and I think I stepped on his foot a couple of times. After that I gave up. -So, how do you make this famous zelnik? Or better yet, can you make some for me? Cook the spinach (if using frozen) or just blanch (if using fresh). Defrost your filo dough. Mix all the ingredients in a bowl. Lay one sheet of filo dough on a baking tray. 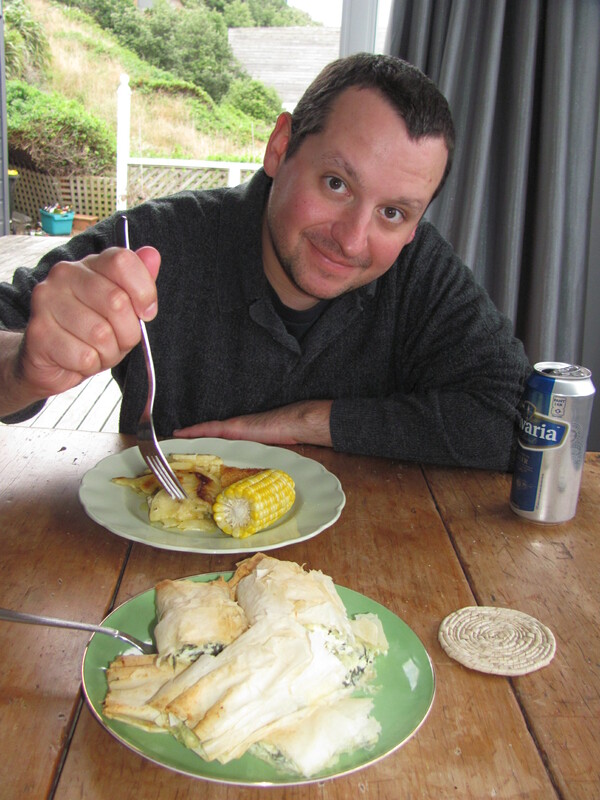 Brush with melted butter – be generous, but make sure not to tear the pastry because it’s very delicate. 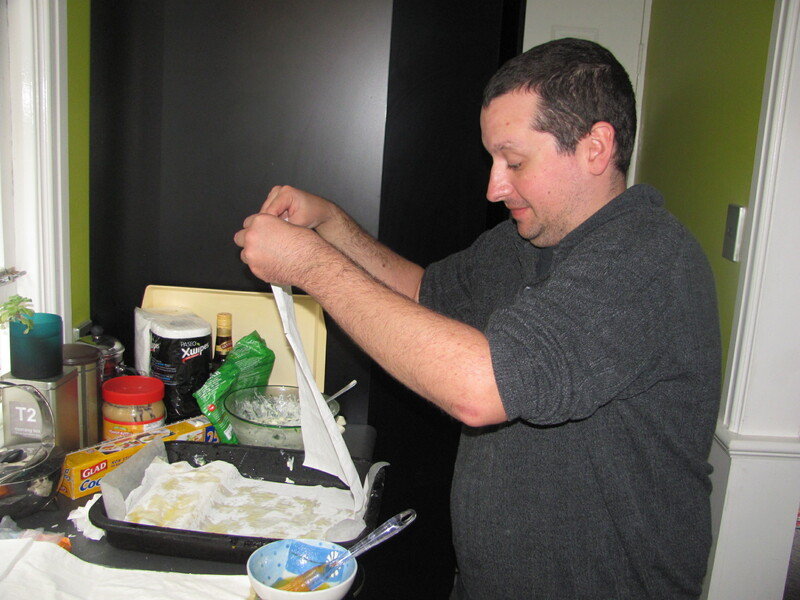 Use 3 sheets of filo per a roll. Spoon the mixture a couple of inches from the edge of the filo sheets. 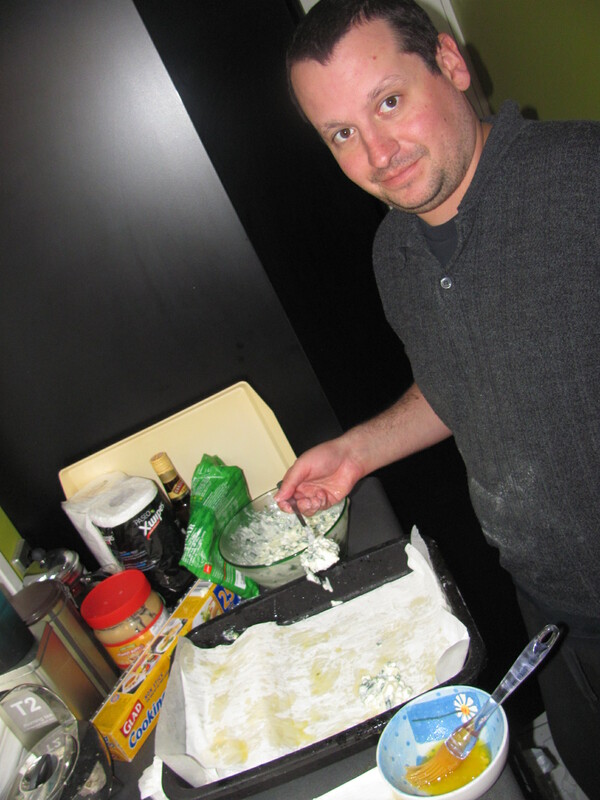 Then roll it up like you`re making sushi or a burrito. Bake at 190C/375F for about 50 min – 1 hour. 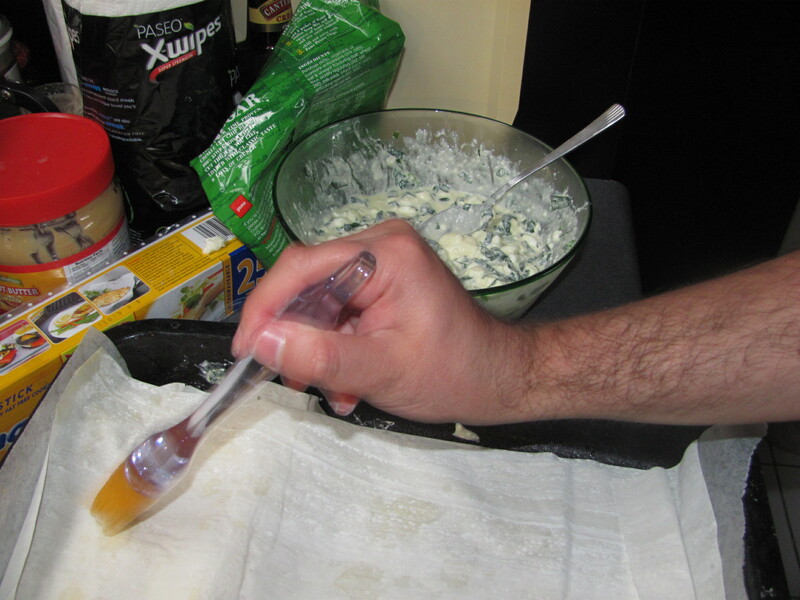 If the pastry starts to brown before it’s ready, cover with foil (advice courtesy of Eleni). 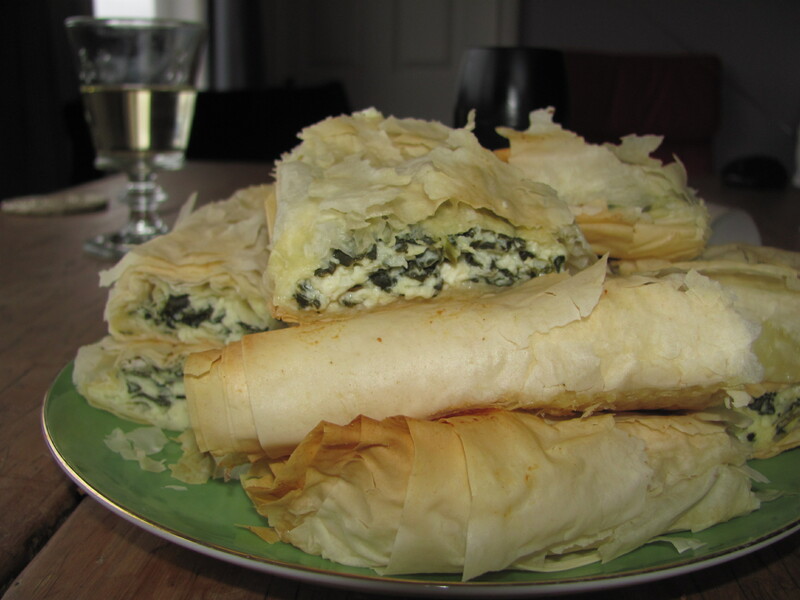 Image | This entry was posted in Family, Food, Macedonia and tagged family traditions, feta, filo, food, Macedonia, Macedonian food, recipe, spinach, zelnik. Bookmark the permalink. Lee, that doesn’t even need cooking! My mouth was watering with this one. How many eggs? How much Feta? 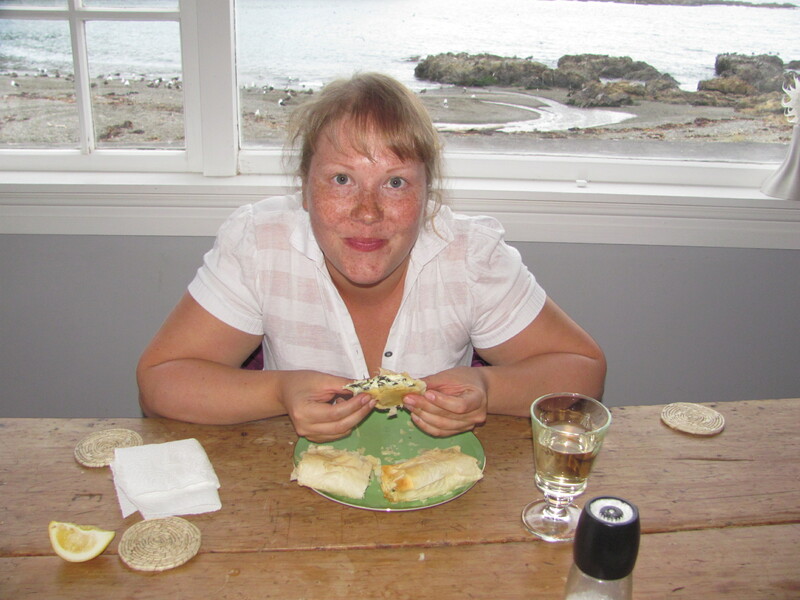 How much cottage cheese and dry curd or creamed?